While we were able obtain a (deeply unnatural) foam on the Trump MKII, seltzer siphons, nitrogen whippers, methyl cellulose, and xanthan gum are not really what one would consider “standard” equipment in a kitchen. Can we get a substantial foam using more “typical” equipment? 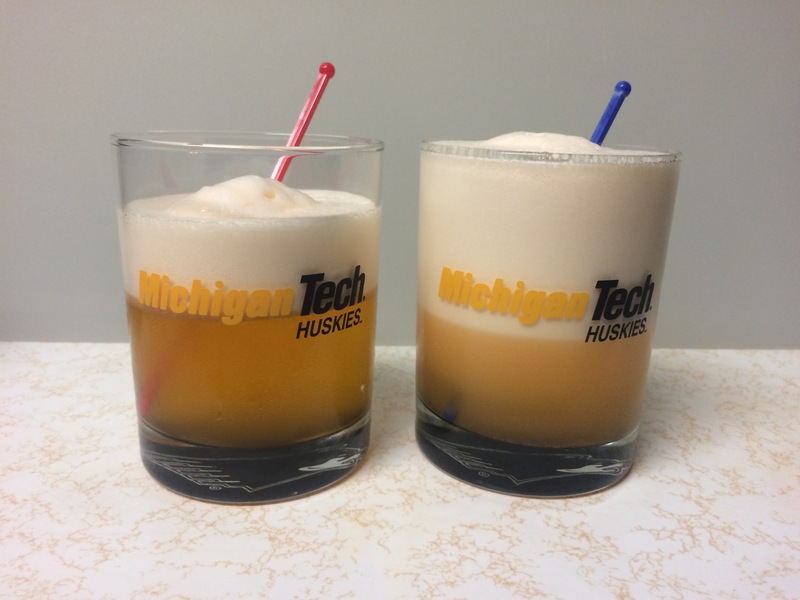 Many traditional cocktails used egg whites to develop a foam and provide an enhanced mouthfeel. *Note: While fresh eggs and proper sanitary procedures minimize the risk from eating raw eggs, there are some who should not, or prefer not to, consume raw eggs. Both pasteurized eggs and egg white powder can be used as alternatives. Serious Eats discusses how to use powdered egg whites, as well as non-egg and vegan options. I intended to use the “reverse dry shake” as outlined here, but accidentally did the regular “dry shake” method. Egg white foam created in the shaker (left) and blender (right). Note the distinct volume difference of the foam! Both foams substantial and stable – a stir stick could be fully supported away from the edge of the glass by just the foam in each case. 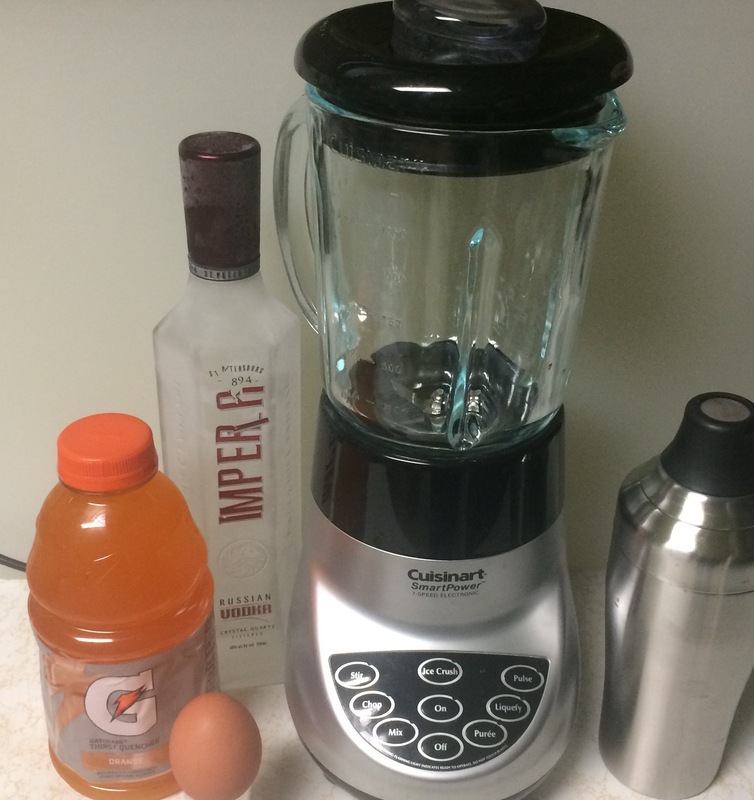 The blender produced significantly more volume from the same initial ingredients. The shaker version seemed to have some sort of orange coagulation that clogged the strainer. In the glass, you could see this material floating just below the foam layer. Looking for a foam for the masses? Egg whites + the common kitchen blender is an expedient way to generate copious mounds of fluff. While recognized as safer, pasteurized eggs reportedly take more effort to develop into a foam. How does foam generation compare between a typical raw egg with these techniques vs pasteurized egg whites? Is blender a valid technique for making fresh egg nog? Manual hand whisk is exhausting and even electric mixer can take a while. I wanna be a taster again.